The following terms and conditions govern your use of this website, and any content made available from or through this website. The website is made available by AMR Network, LLC. We may change the Terms and Conditions ever now and then, at any time without notice to you, by posting such changes on the website. BY USING THE WEBSITE, YOU ACCEPT AND AGREE TO THESE TERMS AND CONDITIONS AS APPLIED TO YOUR USE OF THE WEBSITE. If you do not agree to these Terms and Conditions, you may not access or otherwise use the website. 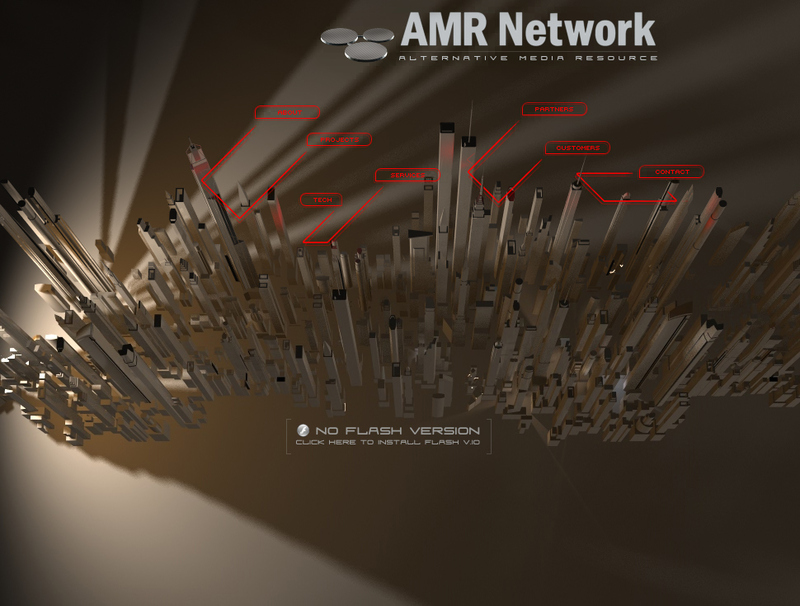 As between you and AMR Network, LLC, AMR Network owns, solely and exclusively, all rights, title and interest in and to the website, all the content (including, for example, flash swf files, audio, photographs, illustrations, graphics, other visuals, video, copy, text, software, titles, Shockwave files, etc. ), code, data and materials thereon, the look and feel, design and organization of the website, and the compilation of the content, code, data and materials on the website, including but not limited to any copyrights, trademark rights, patent rights, database rights, moral rights, sui generis rights and other intellectual property and proprietary rights therein. Your use of the website does not grant to you ownership of any content, code, data or materials you may access on or through the website. Any commercial or promotional distribution, publishing or exploitation of the website, or any content, code, data or materials on the website, is strictly prohibited unless you have received the express prior written permission from authorized personnel of AMR Network, LLC or the otherwise applicable rights holder. Other than as expressly allowed herein, you may not download, post, display, publish, copy, reproduce, distribute, transmit, modify, perform, broadcast, transfer, create derivative works from, sell or otherwise exploit any content, code, data or materials on or available through the website. You further agree that you may not alter, edit, delete, remove, otherwise change the meaning or appearance of, or repurpose, any of the content, code, data, or other materials on or available through the website, including, without limitation, the alteration or removal of any trademarks, trade names, logos, service marks, or any other proprietary content or proprietary rights notices. You acknowledge that you do not acquire any ownership rights by downloading any copyrighted material from or through the website. If you make other use of the website, or the content, code, data or materials thereon or available through the website, except as otherwise provided above, you may violate copyright and other laws of the United States, other countries, as well as applicable state laws and may be subject to liability for such unauthorized use. The purpose of this privacy statement is to help you understand what kinds of personally identifiable information we may gather about you when you visit www.amrnetwork.com and related sub-domains, how we may use that information, whether we will disclose it, and how you can correct or update it. We note that this statement sets forth our online information collection and use policies under U.S. law. The Site is intended for use by residents of the U.S. who are over the age of 18 as well as residents of other countries. We do not knowingly collect personally identifiable information from children (that is, minors younger than thirteen years of age). By visiting www.amrnetwork.com, you are accepting the practices described in this Privacy Notice. We reserve the right to update or modify this statement from time to time, and such changes to the statement will be effective immediately; therefore please bookmark this page and review it periodically to assure familiarity with the most current version of the statement. What private customer information do we gather? AMR Network collects personally identifiable information and data which you specifically and voluntarily provided us through the website or via e-mail. Personally identifiable information includes, for example, your name, company name, account number, postal or e-mail address, phone number, or any information that identifies you as a specific individual. Additional information which would identify you personally includes your industry, number of employees at your company, as well as your purchase history. Does AMR Network share personally identifiable information? No, we are not in the business of selling customer information of any kind to third parties. How does AMR Network protect your personally identifiable information? To help ensure the confidentiality of your personal information, we use security technology and encryption procedures, where applicable. AMR Network is a limited liability company in the state of Florida, USA. The company upholds all certifications and permits as required by state and county regulations. All AMR Network partners and affiliates described on this website are subject to laws and regulations of their own respective state, country and nature of incorporation. AMR Network, LLC is representing its operation at the Florida office exclusively. This website uses a number of multimedia frameworks, most predominantly Adobe Flash. In order to see all content, Flash Version 10 or later must be installed. Your connection speed to this website is kb/s. Therefore you are being shown the version of this website. If your browser or device does not support Flash or any other of the required frameworks or if your bandwidth doesn't allow for a swift display of content on this site, please check out some of the links below to get an idea of the type of services and products ARM Network can provide. Contact us at info@amrnetwork.com to obtain additional information about our company.